Flea Markets and Antique Fairs in the UK 3.8333333333333 out of 5 based on 48 ratings. 48 user reviews. Everyone loves a bargain. 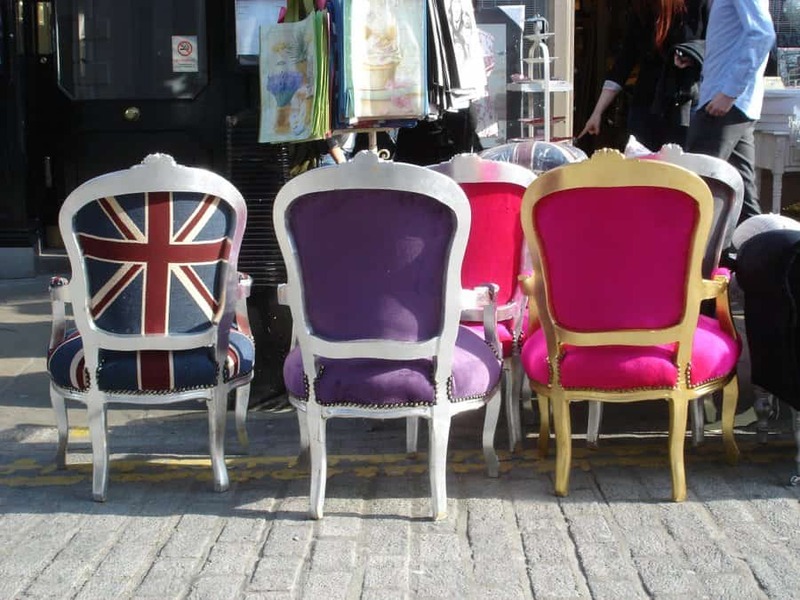 And flea markets and antique fairs have become rather hip in the United Kingdom. Flea markets in the UK offer an endless array of products that provide a more sustainable way to consume. The demand for vintage and second-hand products mainly comes from young adults searching for originality at a low price. 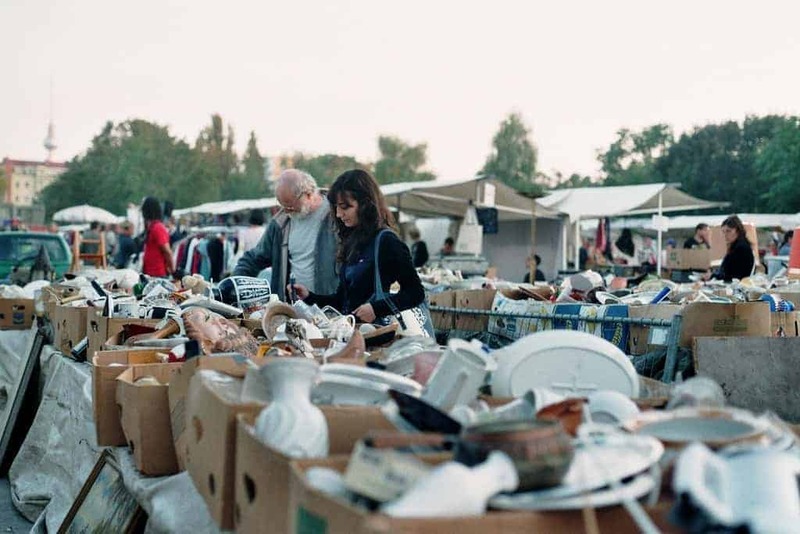 From used furniture, lamps and kitchenware, to quilts, toys, clothes, jewellery, or crockery – flea markets in England are a true heaven for antiques collectors and vintage enthusiasts. 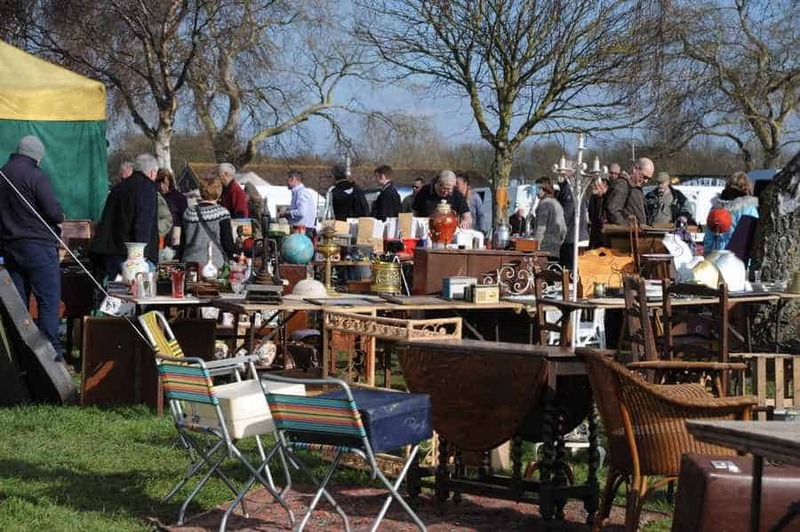 Among the largest flea markets in England, the Peterborough Festival of Antiques offers a wide array of items. There is everythin from finer porcelain, glass and silver to vintage kitchenware, gardenware and tools. Twice a year, Peterborough Festival of Antiques gathers over 1,700 stallholders and more than 15,000 visitors from all over the world. And although it is a busy and densely packed flea market festival, its atmosphere is casual and relaxed. It represents a fun outing, a day out spent browsing the stalls and picking up something appealing to take home. While many vendors selling at Peterborough Festival of Antiques specialize in particular wares, others offer an eclectic mix. Be prepared to spend several hours browsing the stalls. It will take at least that long to get a good look at the huge variety of what is on offer here! From china and pottery, to figurines, silver, glassware, paintings, furniture, tools, gardenware, books, jewellery, militaria, toys, dolls, and advertising, Peterborough flea market has it all. The huge Newark International Antiques & Collectors Fair is among the most famous antique fairs and flea markets in the UK. The enormous 84-acre site and its 2,500 booths is a magnet for dealers from across Europe, North America and Asia. Along with domestic buyers and collectors, many come here regularly for some serious purchasing. The atmosphere at Newark International Antiques & Collectors Fair is lively and busy. It is a compact and crowded flea market, with vendors in a number of buildings around the showground site as well as in marquees, or exposed to the elements outside. The great appeal of Newark International Antiques & Collectors Fair lies in the massive amount of choice. There is something for every conceivable taste. There are decorative antiques and collectibles – china, glassware, silver, paintings, jewellery – but also rustic items and signature pieces. The latter include gardenware, metal advertising signs, wicker chairs, industrial lighting, distressed metal cabinets, stained glass windows. The quality is usually high and vendors tend to be knowledgeable about what they are selling. 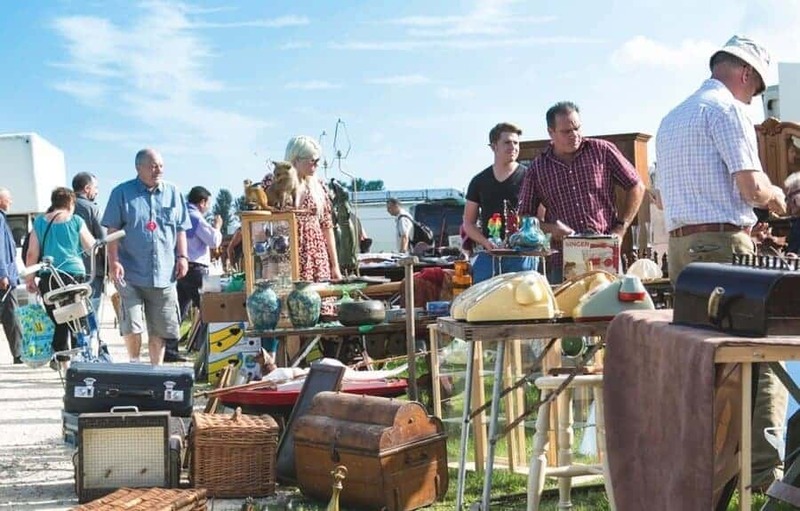 Held at Kempton Park Racecourse in conjunction with the Sandown Antiques Market, Sunbury Antiques Market is one of the best flea markets in the UK. It is one of the largest and longest running twice-monthly market in the UK. The sprawling flea market is easily accessible by train from London, offers free parking, and charges no entrance fee. 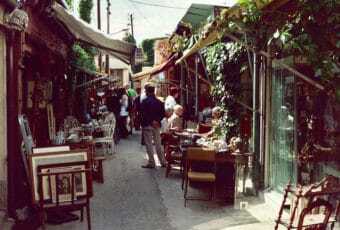 However, the greatest thing is its astonishing variety of wares, fine and rustic, antique and vintage. 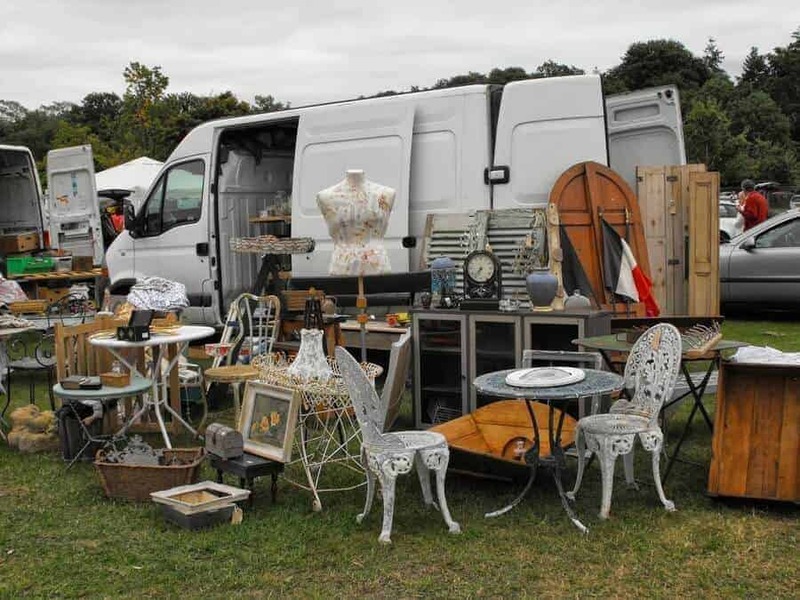 Sunbury Antiques Market is a great place to pick up unusual furniture, “shabby chic”, and industrial and architectural salvage. Business starts early in the morning and winds up not long after noon at this very busy flea market. Vendors come from the continent as well as other parts of the UK to sell at Sunbury Antiques Market. 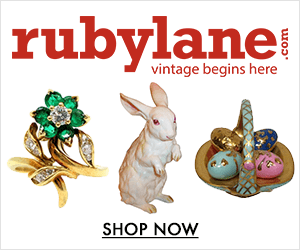 Over 700 antiques and vintage dealers showcase their wares to an eclectic audience. National and International visitors include collectors, interior decorators, prop buyers and people looking for unusual pieces to decorate their flat. Built in 1873, Alexandra Palace is located on a hilltop in north London. For more than 25 years, its Great Hall has served as the setting for the Antiques, Collectors, 20th-century and Art Deco fair. Flea market lovers who have already visited all of London’s best flea markets should give the sophisticated Alexandra Palace Antiques Fair a go. 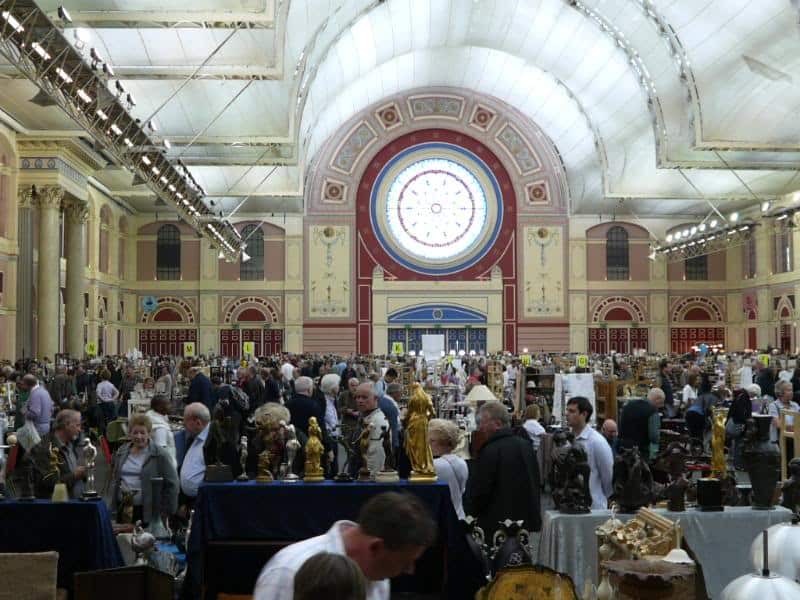 As its name suggests, Alexandra Palace Antiques & Collectors Fair focuses on 20th-century collectables alongside more traditional antiques. Ceramics, by producers such Clarice Cliff, Susie Cooper, Carlton Ware, SylvaC, Poole, Midwinter, Hornsea and Ridgway, are featured here, as are glassware, jewellery, early plastics, advertising items and toys. Art-deco design is quite popular at the fair, as well as glass, clocks, lamps, figurines, tea services, prints and posters. A number of vendors at Alexandra Palace Antiques & Collectors Fair specialize in vintage clothing such as handbags, fur coats, compacts. Some carry 1960s and 1970s kitchenware, catering to an appetite for that period among a younger clientele. 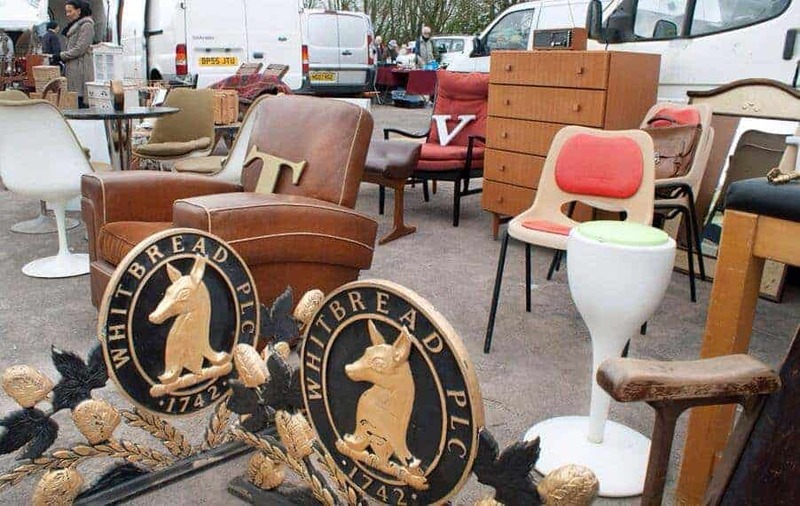 The Great Wetherby Racecourse Antiques Fair and flea market, not far from York, feels deeply connected to its surroundings. Several of the outdoor stalls of this antique fair and flea market feature rustic household items and agricultural implements recalling the area’s rural heritage. A few vendors also sell railway memorabilia. Shoppers visiting the inside stalls will find ceramics, glassware, prints, books, ladies’ clothing and accessories, everyday kitchenware, jewellery and watches. At the Great Wetherby Racecourse flea market there is an emphasis on vintage rather than antiques. 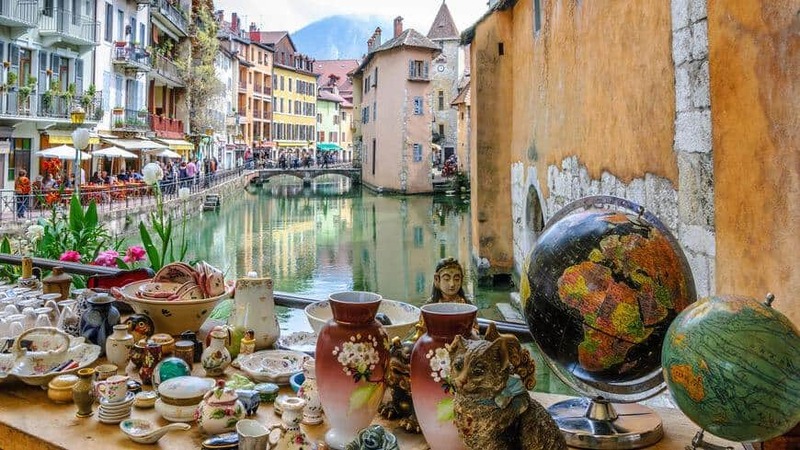 Antique professionals and flea market enthusiasts alike stand a fair chance of picking up something appealing and affordable at this down-to-earth antiques fair. 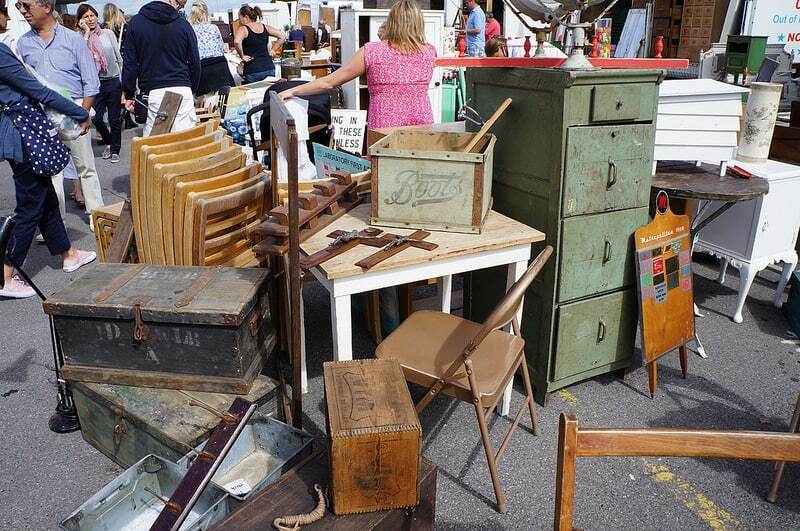 The Malvern Flea and Collectors flea market, held against the backdrop of the Malvern hills, is a sprawling event. In addition to the stalls inside the main exhibition hall, there are several interconnected sheds as well as stalls filling the perimeter outside. Vendors at this unabashedly eclectic flea market cater to every taste. More traditional collectibles like china, silver, figurines and glassware, for instance, are displayed alongside tools, hardware, garden pots, vintage clothing, enamelware, mid-20th-century dishes, taxidermy, papers, advertising items, West German ceramics, fishing gear, sewing notions, kitchen utensils, early plastics, books and costume jewelry. Interspersed among the collectibles vendors, people are selling homemade pies, jams and jellies, and real hot chocolate. It’s all a bit random and hodge-podge but the formula seems to work well, judging by the crowds. 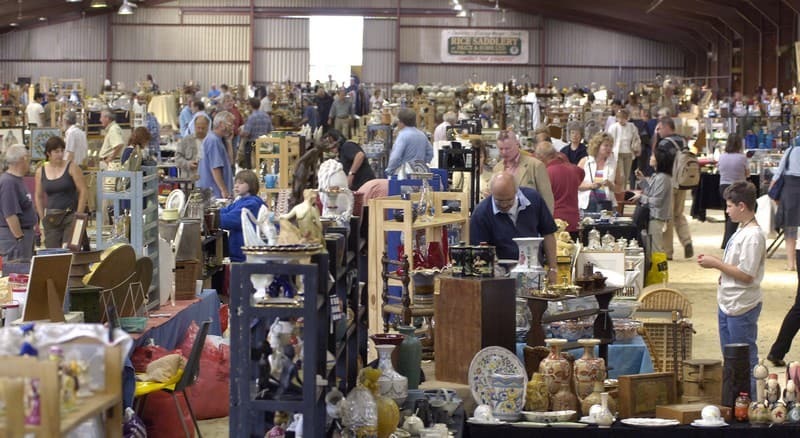 The Royal Bath and West Showground is the site of both the Shepton Giant Flea & Collectors Market event and the Shepton Mallet International Antiques and Collectors Fair. If your tastes lie toward the vintage and everyday items rather than antiques, then these flea markets are for you. 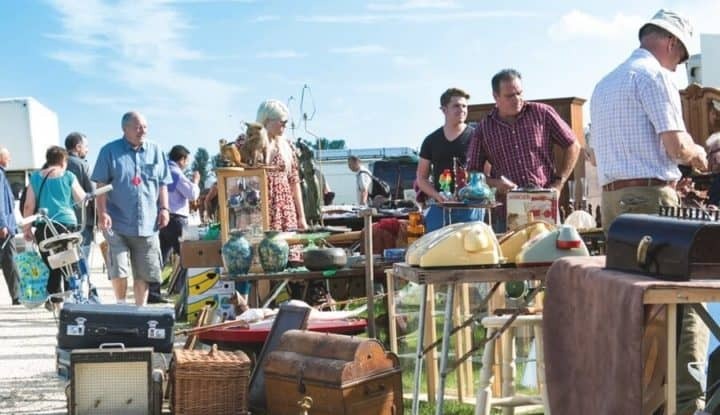 Shepton Giant Flea & Collectors Market focuses on vintage of all sorts: 1960s and 1970s West German ceramics, advertising items, sunglasses and handbags, linens, quilts, kitchenware, plastics, lamps, toys, costume jewelry, sewing notions, teapots and crockery. Shoppers with more traditional collecting tastes will also find much of interest at Shepton Giant Flea & Collectors Market, since many vendors also feature a large selection of porcelain, silver, crystal, paintings and militaria. 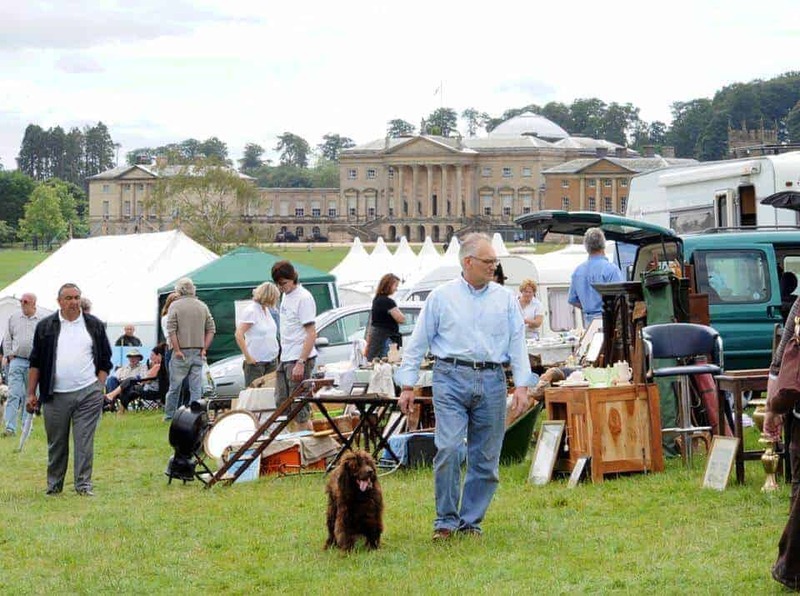 The Lincolnshire International Antiques and Home Show is held almost back-to-back with the Newark flea market nearby. The bi-monthly Lincolnshire International Antiques and Home Show is one of the largest antique markets in Europe. Hosting thousands of antique vendors over 200 acres, it is often considered an antiquing extravaganza. It is a very popular destination for foreign and domestic professional buyers and also attracts many casual collectors and browsers. Lincolnshire International Antiques and Home Show is a longstanding and well-organised flea market, held indoors and outdoors. It offers a huge scope in terms of wares and prices. At stalls in the marquees, vendors offer furniture and finer collectibles. At pitches in the rest of the field, visitors will find more rustic items, kitchenware, vintage of various sorts and generally more modestly priced goods. The buildings themselves house vendors of smaller decorative items: china, glassware, silver, figurines, jewellery, watches, vintage handbags, ginger beer bottles, ice cream moulds, linens, cameras and canes, toys. 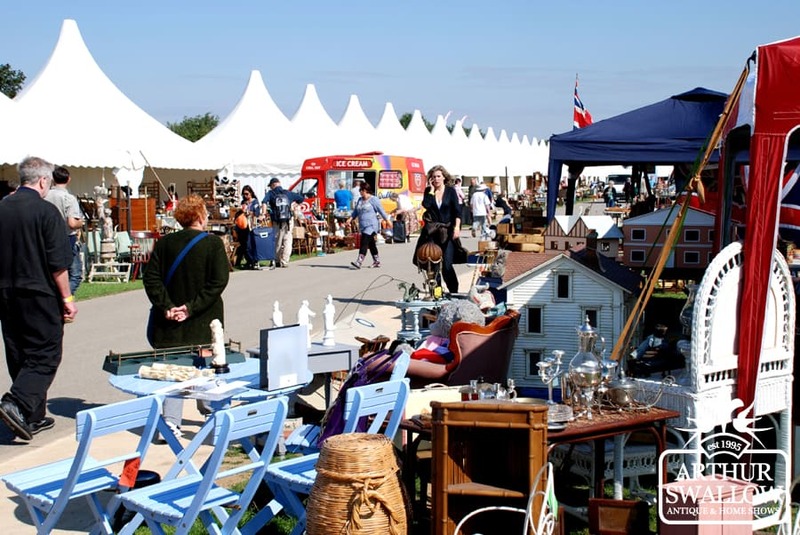 The Ardingly International Antiques and Collectors Fair is one of the top vintage and antiques fairs and flea market in England. Its proximity to the Channel means vendors come from continental Europe and further east to sell here, and buyers come even from Asia and North America. 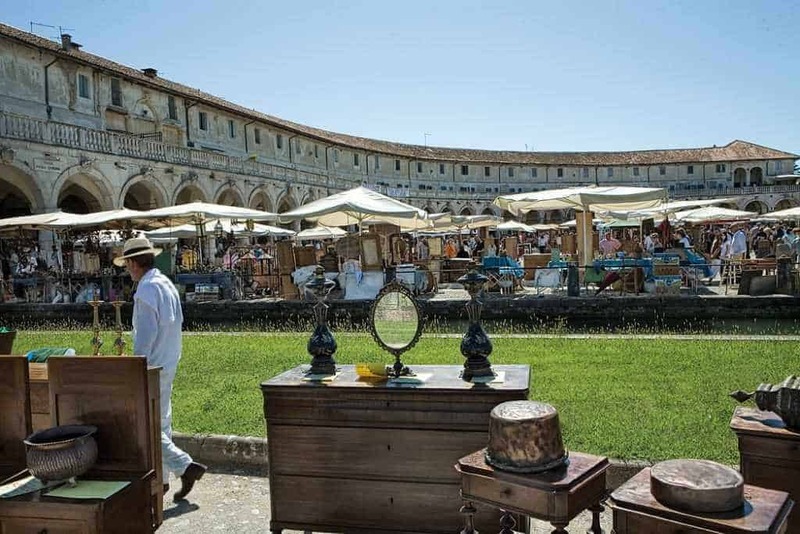 The setting of this substantial flea market is almost pastoral and its great appeal is that you can find just about anything. It embraces the traditional antiques trade (fine china, silver, jewellery, paintings), collectors (stamps, coins, postcards), the fast-growing vintage crowd, fans of rustic, primitive and everyday objects, and decor and design types, looking for unusual bits of furniture or quirky accent pieces. 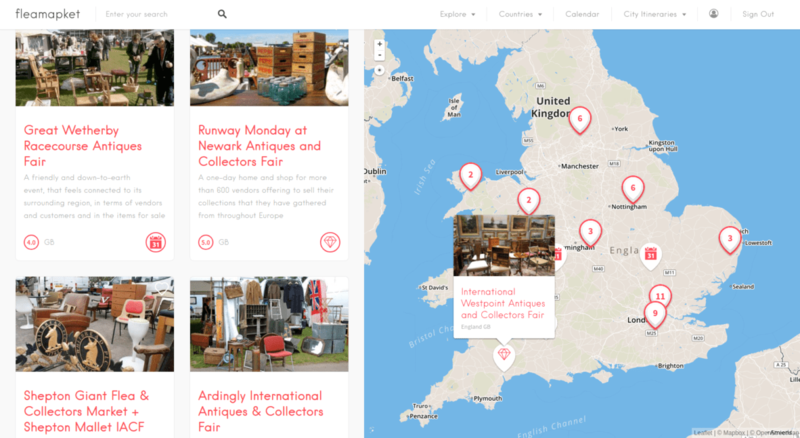 Bonus: the UK’s best antique shows and flea markets on a map! 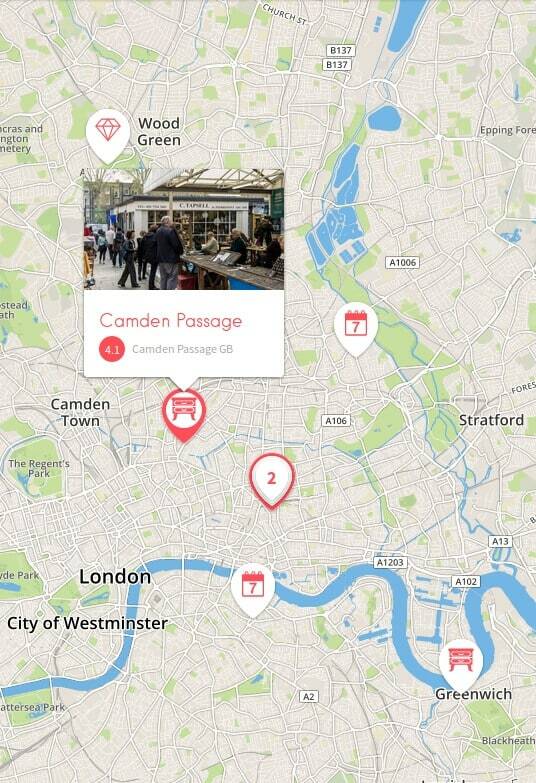 With our tool Fleamapket, you can view 50 of the best antique shows and flea markets in the UK on a map! Hi Ashley, I am going to London, York and Edinburgh near end May. Looking for flea markets as well as old book stores. Would you recommend a few? Can you give me a list of places that will have antique markets in NE England during that time. we are visiting the uk at the end of august to mid september what markets do you have? travel is no problem as we have hired a camper van.